Join a top-ranked university in the Midlands, with Ofsted Outstanding education courses. 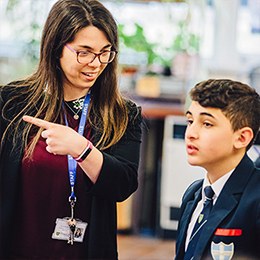 We're a friendly and highly-experienced team of teachers who care deeply about the vocation of teaching and the transformative effect it has on children and young people. We truly believe that a good education is the key to a successful life. Interested in finding out more? Why not come to an open evening and get to know us better? Find out more about us on these pages, or get in touch today with your questions.